This Citrus City Grille chalkboard menu showcases a vintage and classic setting in a white handwritten typeface. The menu includes small plates, beverages, flatboards and martinis. The elegance of the menu board should bring in up=market clientele. 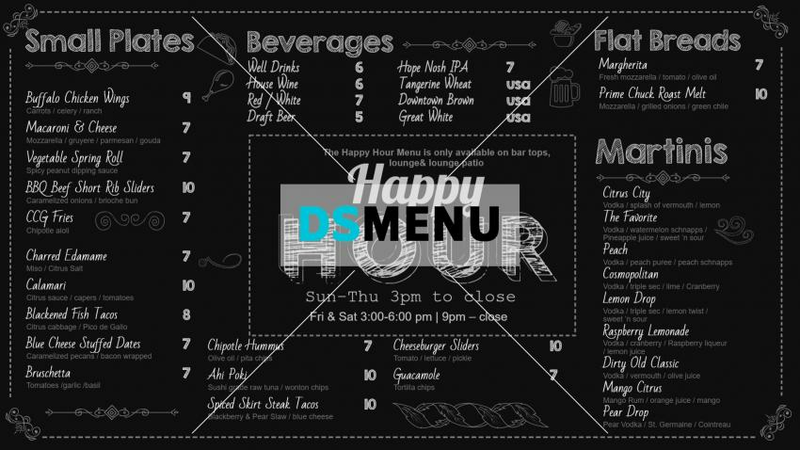 Placed on a digital screen , this menu board will be the talk of the town for its aesthetic brilliance.